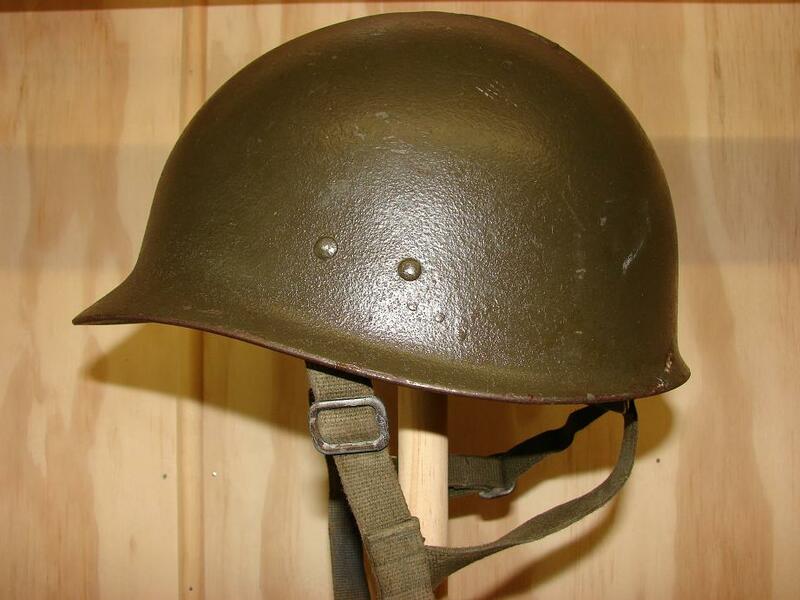 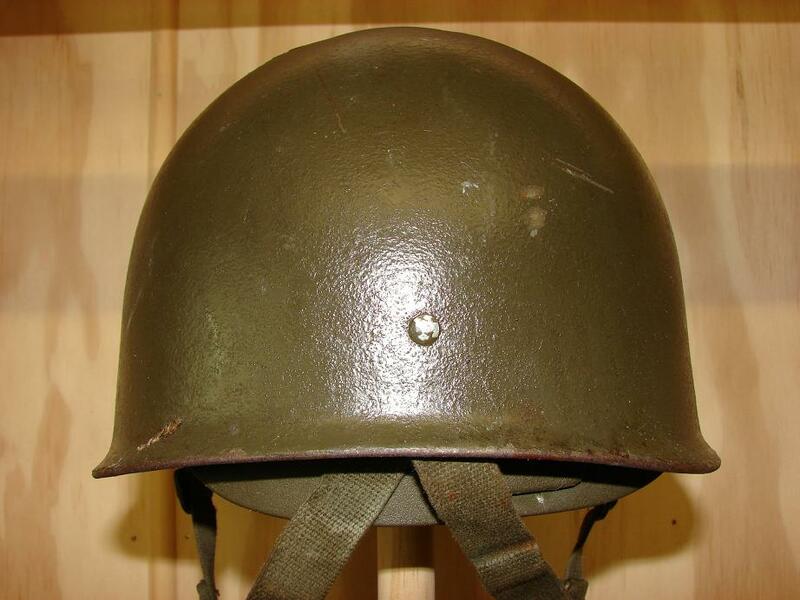 The M62 (Mod) was the last of the West German steel helmets. 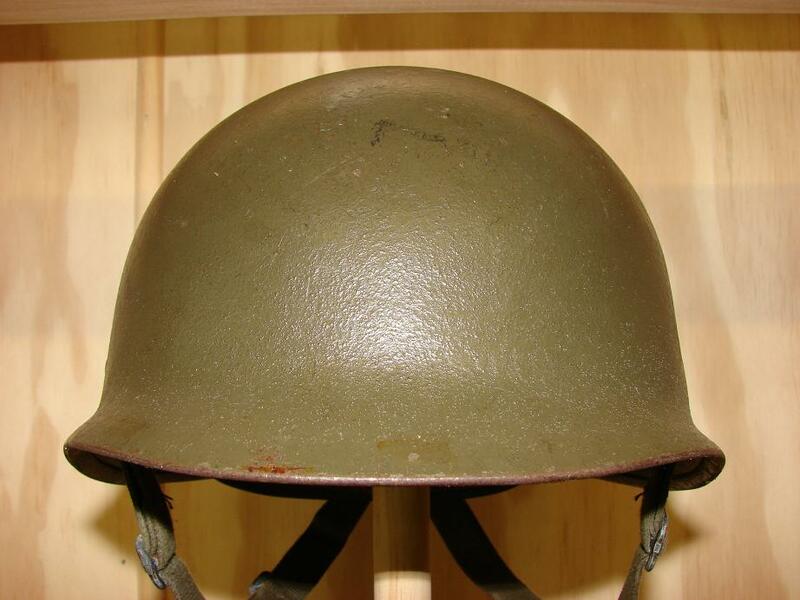 This modified example had a double 3-point type chinstrap added, an improved cradle which had the rear of the liner extended further down the back of the head with a plastic reinforced neck guard for added support and stability. 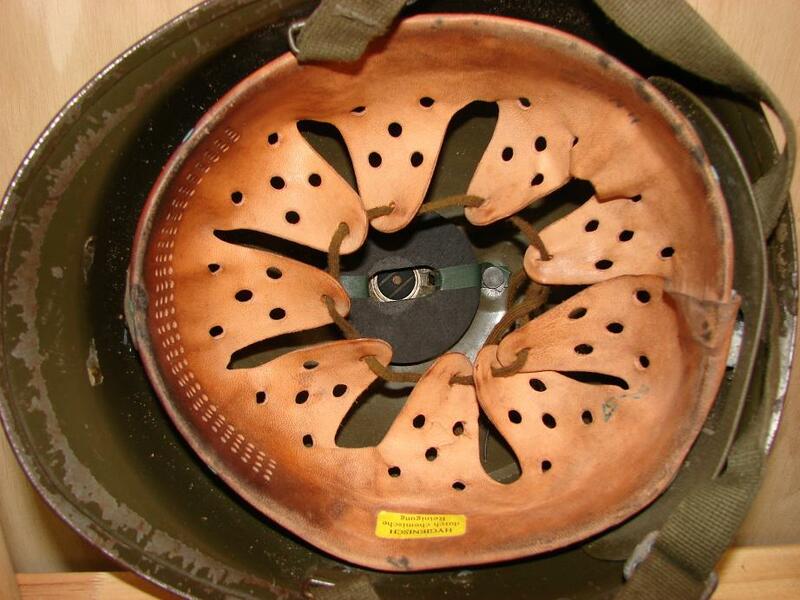 These improvments were carried out sometime in the early 1980's. 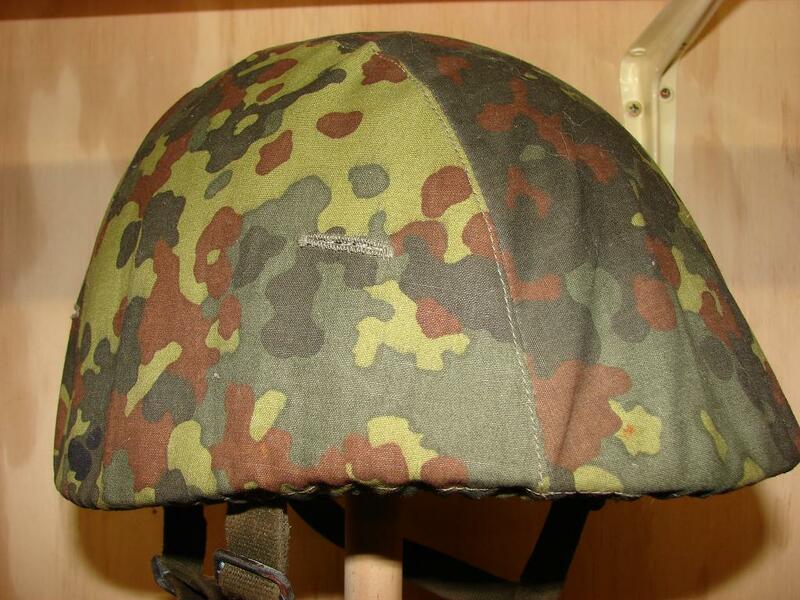 The cover is the standard "Flectarn" though the earlier type that was non-reversable and without a folliage band.